West-country collective established in 2013, with a genre-defying, eclectic sound that ranges from traditional folk to full blown festival rock. 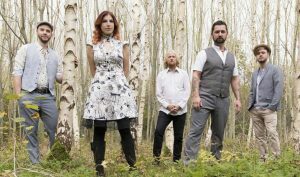 The Leylines are: Dan Thompson (electric guitar); Dave Burbidge (drums); Hannah Johns (violin); Sean Booth (bass); and Steve Mitchell (vocals/guitar). The Leylines was founded by a group of musicians in Weston-super-Mare (via Bristol), wishing to combine their individual musical styles into something that isn’t quite folk, sort of punk, 100% heart- pounding revelry. This unique sound, combined with frontman Steve Mitchell’s lyrics centred around life on the road and the state of society, has launched the band into the heart of the live music community and made them firm favourites of the festival circuit. 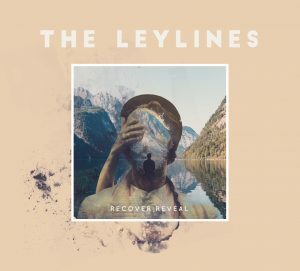 Recover/Reveal is the second studio album from The Leylines out on 1st March 2019. The band released their debut album, Along The Old Straight Track, in 2016, and started work on Recover/Reveal almost immediately after this was released. This record is the result of nearly three years of honing and crafting, with a number of tracks crowd-tested at numerous venues and festivals across the UK. The band have a reputation for wild, energetic performances and wanted to encapsulate as much of that as possible within the new album. The result is a collection of sincere, straight-from-the-heart performances, constructed with care, and played with passion. The concept for Recover/Reveal came about after a period of great change and upheaval for the band, both musically and personally in the years following the release of the first album. Recover/Reveal ranges from being introspective, with some of the songs being almost autobiographical in nature, touching on the current political climate, to full-blown festival rock.